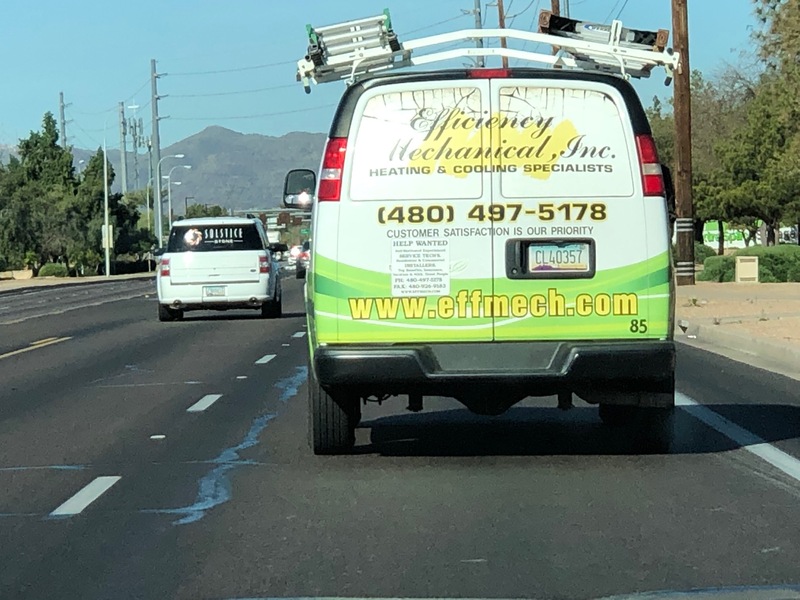 #Domain sightings : EffMech.com - When shorter isn't always better! :DomainGang #Domain sightings : EffMech.com - When shorter isn't always better! Spotting domain names “on the go” or “in the wild” is part of our “domain sightings” series. We split those domains in two categories, dot .COM and all the rest, which includes ccTLD, TLDs and new gTLDs – other than .COM. The majority of these encounters are made when in a vehicle; we strive to be stationary to avoid any car accidents. Today’s reader submission comes courtesy of Joe Styler, Aftermarket Product Manager at GoDaddy. Joe pointed out that shorter, isn’t always better, when it comes to domains. A company called Efficiency Mechanical, Inc., is going by EffMech.com. Efficiency Mechanical, Inc is a family owned and operated, licensed HVAC contractor since 1986. We have earned an excellent reputation among the valley’s premier architects, builders and mechanical engineers as the best. Our certified technicians maintain their integrity by being paid hourly, not on commission. You will find them to be honest and trustworthy, their only incentive is to protect the customers investment in their a/c system.